welcome to my (e-) crib. Michelle Thomas has worked extensively in live comedy, opera and theatre as an actor, writer, and producer. 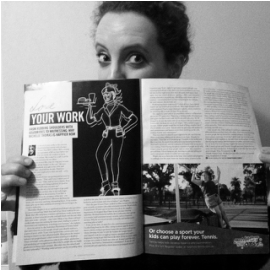 She's also worked extensively in waitressing, promo stuff and office gruntery. She made international headlines in July 2015 when a blog entry she wrote about an abusive message she received after one date garnered over 400,000 hits worldwide. She has been interviewed on radio and held the attention of television audiences in London, UK, Chicago, USA and Melbourne, Australia. The story has been covered in news outlets making headlines across major cities as far and wide as Russia, India, America, France, West Africa, Australia, Germany, Italy, Estonia, Denmark, Wales, Brazil, Serbia, Ireland and of course her native UK. 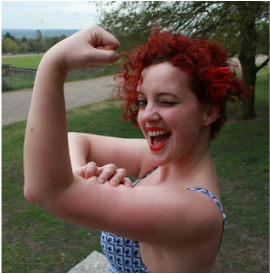 She has since written for the Independent, Stylist, Standard Issue, IB Times, and Shortlist about body image, feminism, online dating, and more. 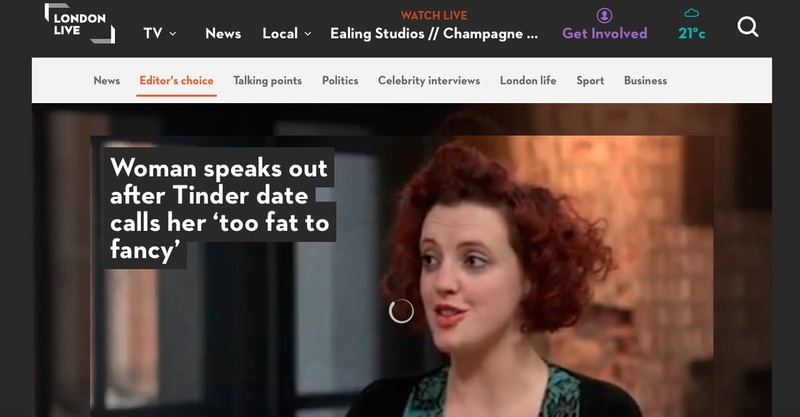 How my Tinder date turned into an international body-shaming scandal and launched my retaliatory headlines. 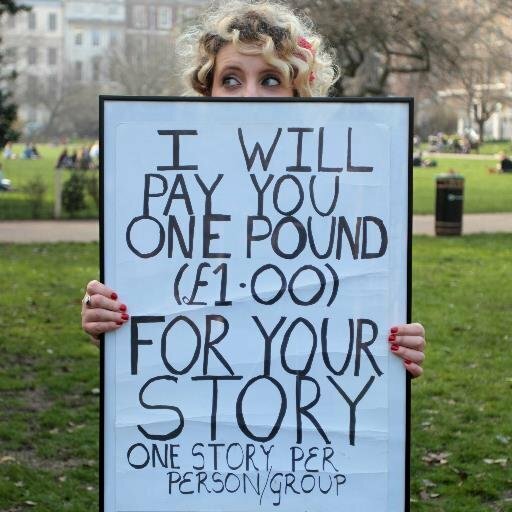 Launched in 2012, One Pound Stories is an anthology of true stories bought, recorded and transcribed in public places all over the UK. LOOK AT MY STUPID LITTLE FACE!